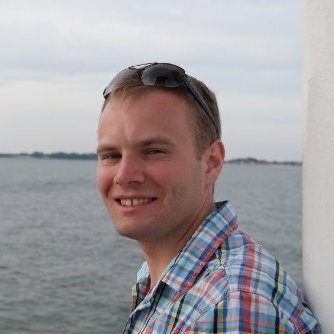 Piotr grew up in Poland and completed the International Baccalaureate programme before pursuing a Physics undergraduate course at Swansea University in 2008. He obtained his MPhys degree in 2012, where his research project was focused on improving a technique called Tip-enhanced Raman Spectroscopy, under the supervision of Dr Peter Dunstan. The work involved combined AFM and Raman imaging of single-walled carbon nanotubes, whose electronic and optical properties are well-known by the scientific community. In September 2012, he joined the Bristol Centre for Functional Nanomaterials at the University of Bristol. Currently, he is in the second year of his PhD project entitled “Functional nanomaterials for organic field-effect transistors”, jointly supervised by Charl and Martin Cryan (Electric & Electronic Engineering). The aim is to employ transistors as a platform for characterising organic semiconducting nanomaterials. Piotr’s hobbies include learning foreign languages and playing guitar.